Storing your personal data in servers on the net. That way it is available to you wherever you go, even using your portable devices. Whoever runs the cloud server is responsible for backup and will likely do a better job of maintaining multiple levels of offsite backup than you would. However, your data is more vulnerable to hacking attempts on the way to or from the cloud or while it is stored in the cloud. It presents a larger, juicier target to hackers than your home machine. The other problem is you need to trust that corporation not to snoop through your data or to let the government or advertisers do so. It is probably not a good idea to put credit card or bank information in the cloud. If you have limited local storage, cloud storage can simulate a large, slow, local hard disk. Maybe in another decade will have personal computers as advanced as the Univac 1100 was back circa 1970 with file migration to keep the most active files on local hard disk and less active ones offline, all integrated with backup. clouds are just server farms running Virtual OS (Operating System)es that can be snapshotted, rebooted, installed and moved remotely. Sometimes server farms are distributed in many different locations. This avoids putting too many eggs in one basket and makes it possible for a server to be closer to the end user and hence more responsive. Such a server farm is called a cloud. 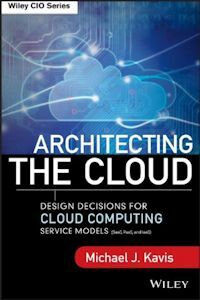 This a book about picking the right cloud service before you leap into the details of implementation.